The object of the game of soccer, also known in some countries as football, is to drive a soccer ball into the opposing team's goal in order to score a point. The team that scores the most points by the end of a soccer match wins; if there is a tie score either the game goes into extra time or the official declares a draw. The Fédération Internationale de Football Association reports that 265 million people world-wide play this popular sport. Soccer is played outdoors on a rectangular field of grass or turf, with a goal located in the middle of both short ends of the field. Indoor soccer is similar, though the court is smaller. There are 11 members on each team, playing either forward, midfield, defense or goalie. Players -- with the exception of the goalie -- work to move the ball down the field to the opponent's goal by passing, dribbling and shooting. 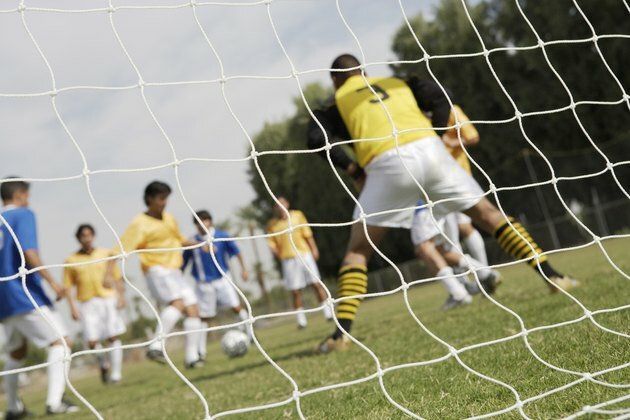 The goalie's job is to keep the opposition's ball from entering the goal. Only goalies are allowed to touch the ball with their hands or arms during general play. 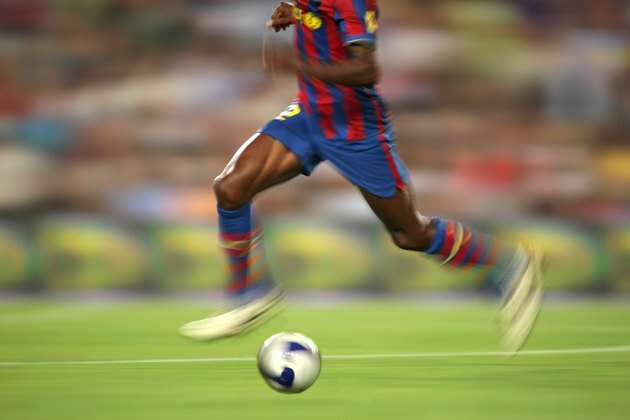 Therefore, most ball handling is accomplished by players using their feet to kick the ball. Players may also use other parts of their body, including their torso and head, to pass or intercept a pass.